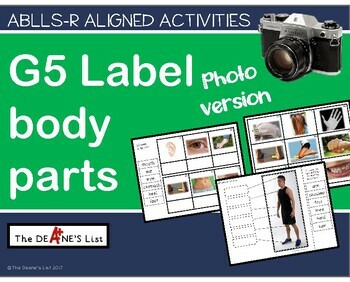 This product features labeling activities for body parts with photos. These materials are perfect for early learners or students with language delays. 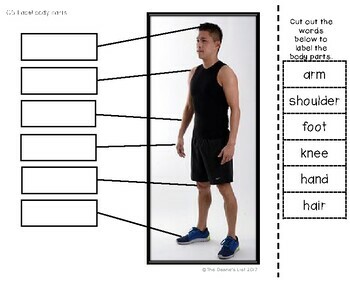 They are a great way to practice and assess objective G5 of the ABLLS-R. Photos are often helpful for students who have difficulty generalizing what they learn. This product is included in the G Labeling Mega Bundle Photo Version, so if you bought the bundle do not buy this product.